The funds SU2C raises support innovative cancer research that saves lives now. Be a part of the Stand Up To Cancer movement. This 100% cotton women’s slim deep v-neck t-shirt features the classic Stand Up short logo. 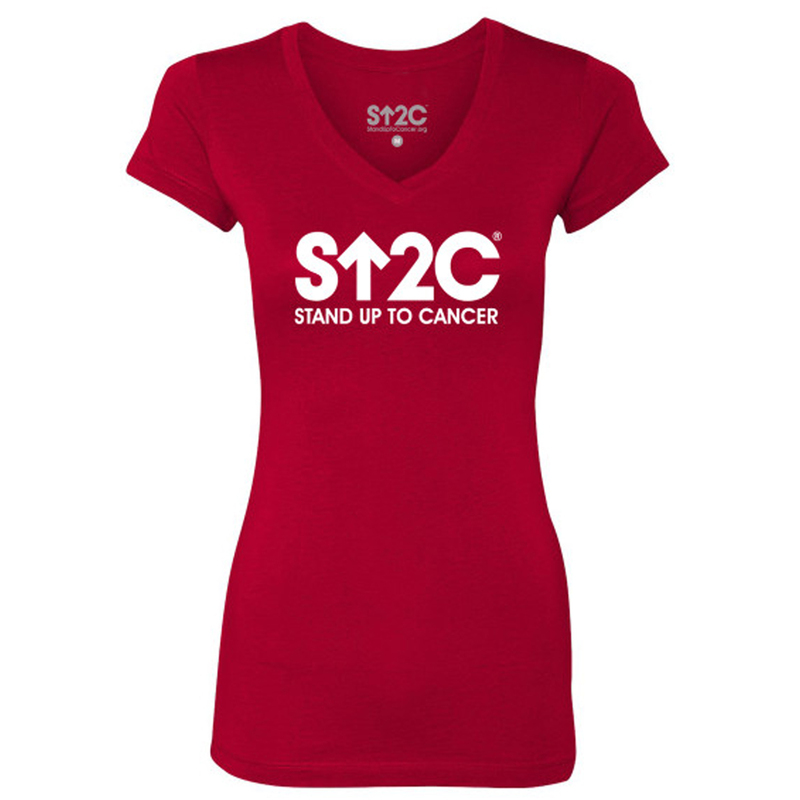 This soft red t-shirt is perfect to wear to show your support. 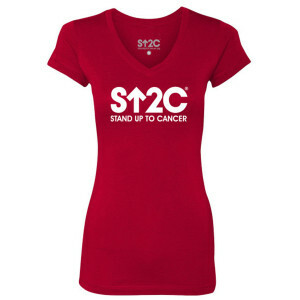 I love this shirt, very comfortable and I now have 6 different "Stand Up 2 Cancer" shirts. I love the tee shirt. I purchased four tee shirts to give to my daughters who were there for me at the most crucial time in my life. They loved them and got so emotional when I presented them with my little thank you gift. One thing I will say, don't make the same mistake I made. The shirt runs on the slim size, unless you're slim, get the next size up. Aside from that, I love it.